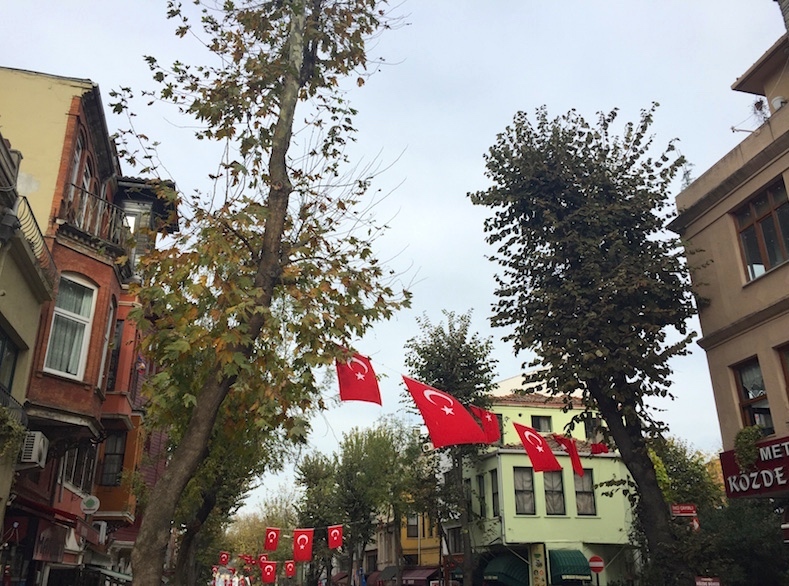 Recently, a friend of mine suggested that I ‘rebrand’ my blog to not only write about my travels outside of Istanbul, but also about what I do in and around this charming place. Within this complex city, there are so many interesting aspects that exploring Istanbul should be considered a full time job. When I tell people where I live, they always ask what it’s like to live in a city with so much history; where the East and West converge. The best way that I can explain my fascination with Istanbul is the constant energy; sometimes when I walk out of my apartment building it feels as if I am stepping into a strong current that is difficult to resist. However, sometimes the current can be too much and it’s important to find a slower pace. And that is exactly what I did this morning. On this blog, I have written about Monica Fritz. Among other things, she takes small groups on photography/walking tours around Istanbul. She is on Facebook under ‘Alternative City Tours’ and she also has a website under the same name. 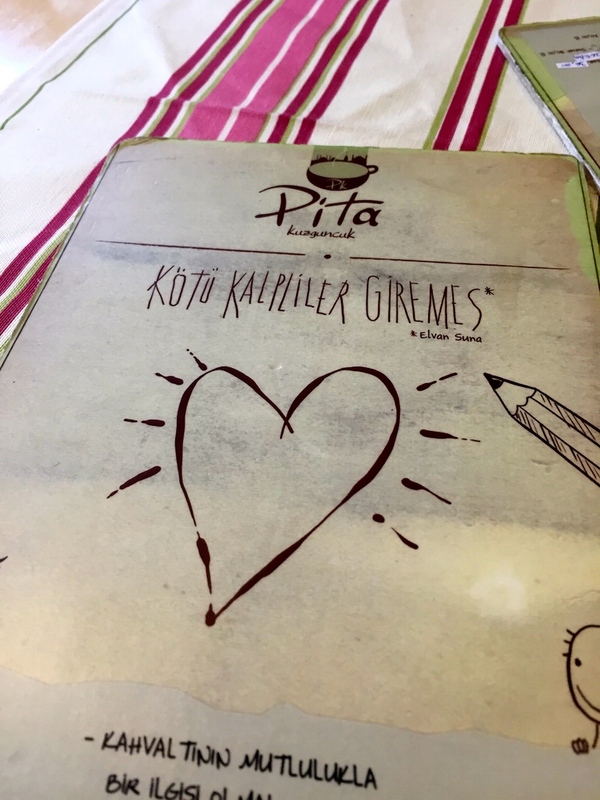 If you are coming to Istanbul, I cannot recommend her highly enough. Arrange a tour with her and you will see amazing sights that even locals don’t know about. It is also because of her that I discovered Kuzguncuk. 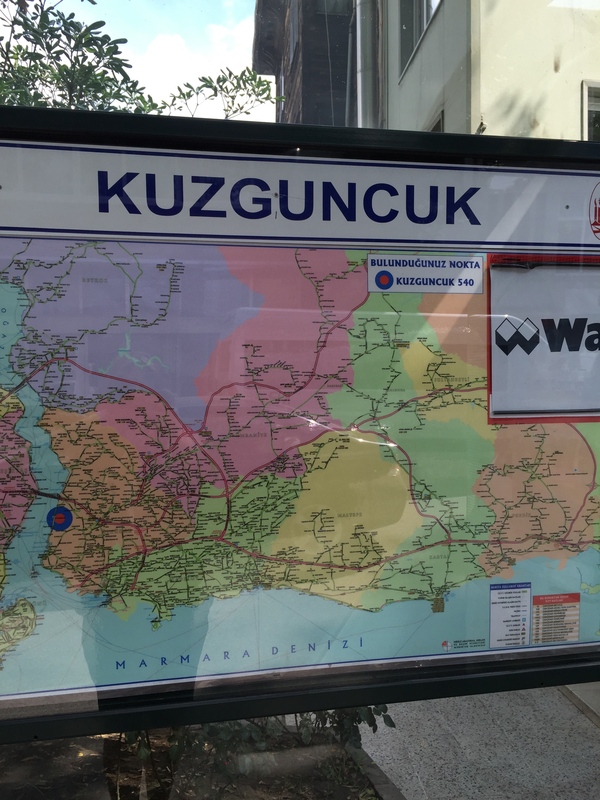 It is a small suburb outside of Üsküdar. 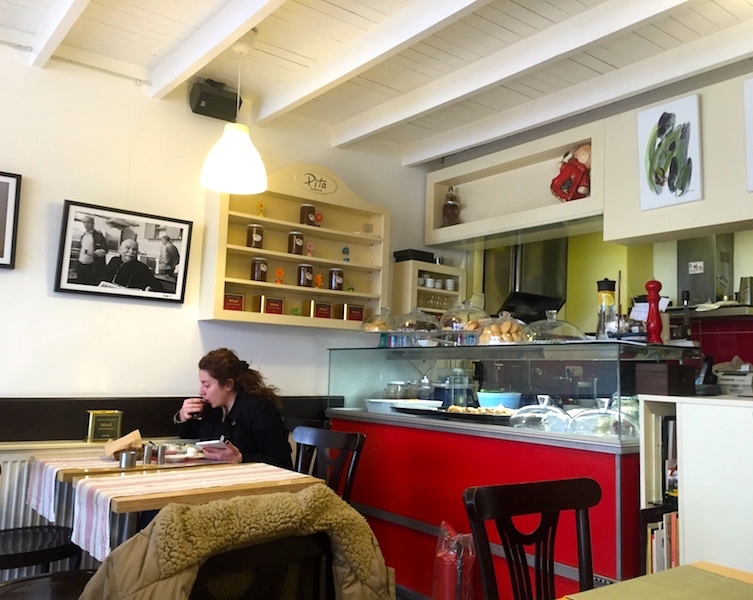 The main road, İcadiye Caddesi, is lined with cafes, intimate art galleries, and bread shops. On this street, one can find a Synagogue, and just around the corner is a Mosque and a Greek Orthodox Church. 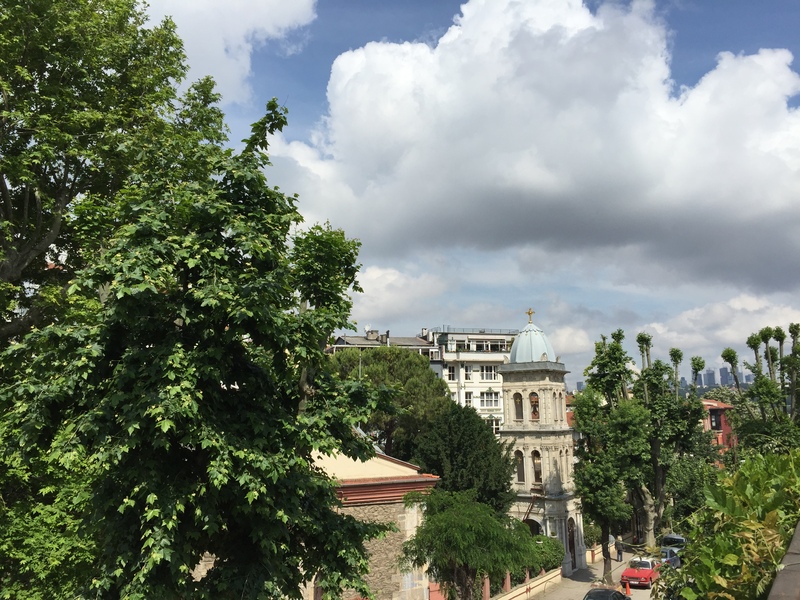 For me, it is a peaceful neighborhood in Istanbul with tree lined streets and calm interactions. 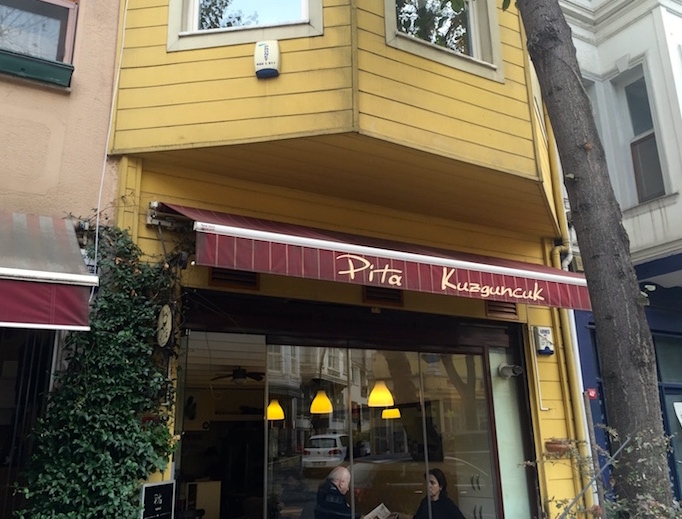 My regular cafe is ‘Pita Kuzguncuk’ which serves the most delicious homemade, Turkish food. Seriously, it is incredibly yummy. If you are here in Istanbul, just take the ferry from Kabatash to Üsküdar, grab a dolmus (half taxi, half bus for something like 2TL a person) to İcadiye Caddesi. It’s about 3 or 4 blocks up on the right hand side. Their scones are homemade and dipped in their bal kamak (honey and clotted cream), you will just sink into happiness. I hope you enjoy the new look of my website and find some interesting facts about all of the places I go! Love this post and really enjoyed the ferry video (you are so clever!) – thank you! So nice to hear what you’re up to. Love you, Claire!